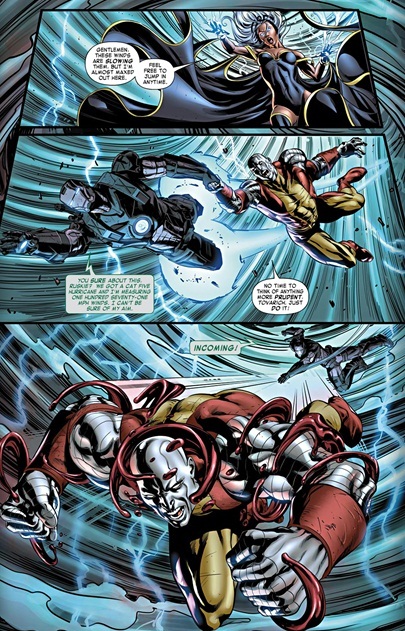 Storm, Jubilee, Colossus and War machine take on the army of sentinels in the sky while on the ground Warpath, Psylocke and Domino try to shut them down from the ground. Jubilee crashes to the ground and meets a mysterious man who tells her they have been searching for her. Before the sky team can be overwhelmed the ground team shuts down the sentinels and ends the threat. Back on Utopia Storm vows that her team will recover the “vanished” jubilee at all costs. Characterization- Psylocke the telepathic ninja oh how I’ve missed you written and used this well and teamed with Storm, Jubilee is our wildcard, Warpath and Domino are our veteran warriors while colossus and War machine are our heavy hitters while Storm is powerful and in charge, leading in a way that would make Chris Claremont proud! Art-Great Art from will Conrad! Growth- You can complain all you want about Jubilee being a vampire but it’s the bet character growth she’s experienced in over fifteen years. The over the top mall baby act went out of style with the 90’ and she struggled in finding her place as an x-man and mutant. After she was depowered on M-day and became human she had the leadership flare while with the New Warriors and then fell back into limbo. As a Vampire she has a definitive edge not present in any of her previous incarnations. 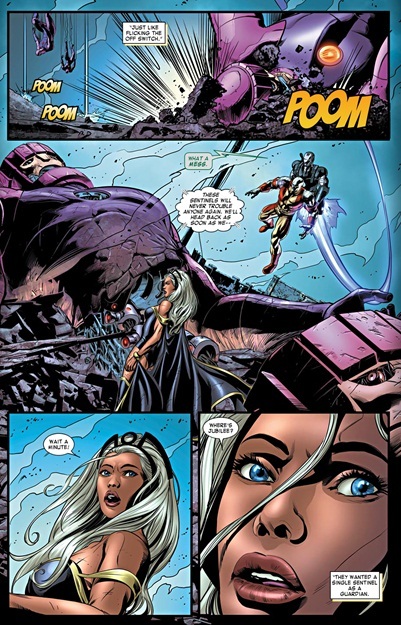 Unpredictable and wild suit her and this issue she takes out more sentinels than Storm, Colossus and War Machine combined proving that this Vampire girl has some serious teeth. Her disappearance will now lead Storm’s team into their second adventure. 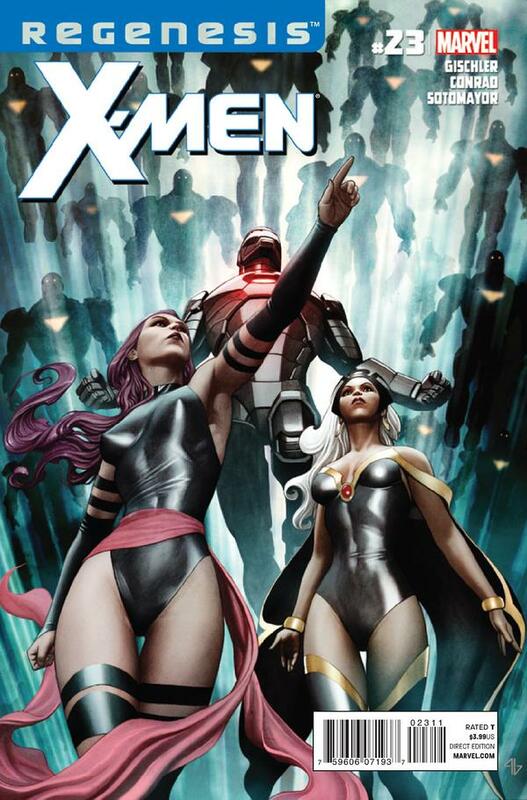 Cover- Stunning with Storm and Psylocke under a sky of sentinels. Jubilee– We lost our wildcard on the first mission out. Vampires– Come next issue some may be put off by the Vampires that will no doubt descend on this book.